Food For Joy! 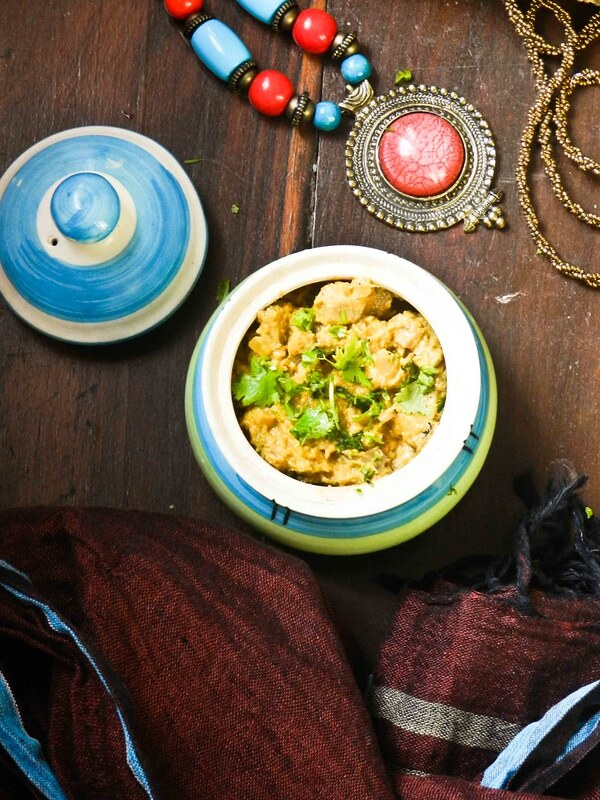 Raw Jackfruit Curry - Food For Joy! Jackfruits are one of those fruits that bring back old memories into my imagination. 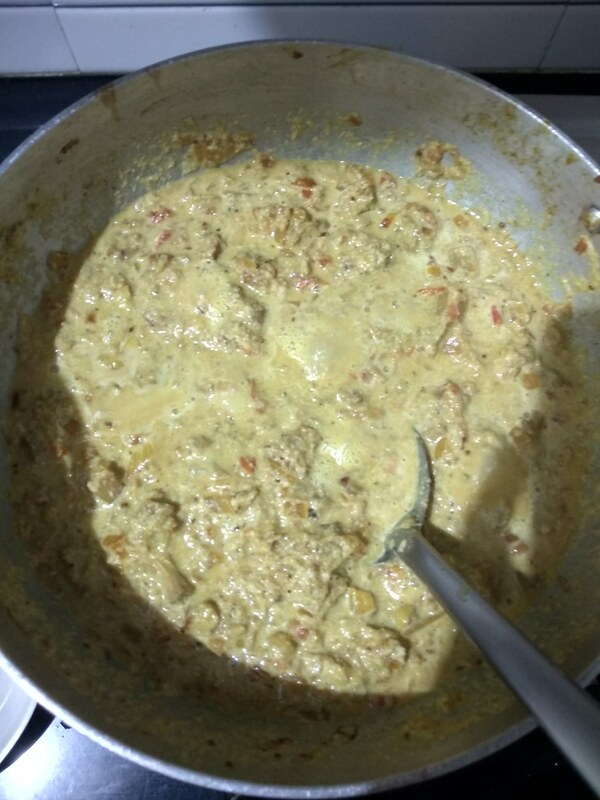 I have fuzzy memories of my Dodda’s (Grandmother’s) raw Jackfruit Sambhar I used to savour during the summer vacations. Picking up the mangoes fallen from a tree, strewing stones at crows, timelessly feeding the cattle with hay, roaming around the vast tree plantations with Dodda screaming at us, are all the things that come to my mind when I go back to those good old days. I wonder how on earth our elders managed too many kids in one go. Reminiscing the olden times gives us goosebumps and I still worry about the kind of childhood our kids are experiencing. Yes, my little one misses everything that I had once experienced as a kid. That is why I love choosing more of a suburban lifestyle than anything else. Being an engineer, I would still add, the growth in technology makes most of the damage to our lifestyles, yet, we are too helpless without it. Since it is the season of the marvellous Jackfruit, I spotted some fresh raw Jackfruit in a supermarket. 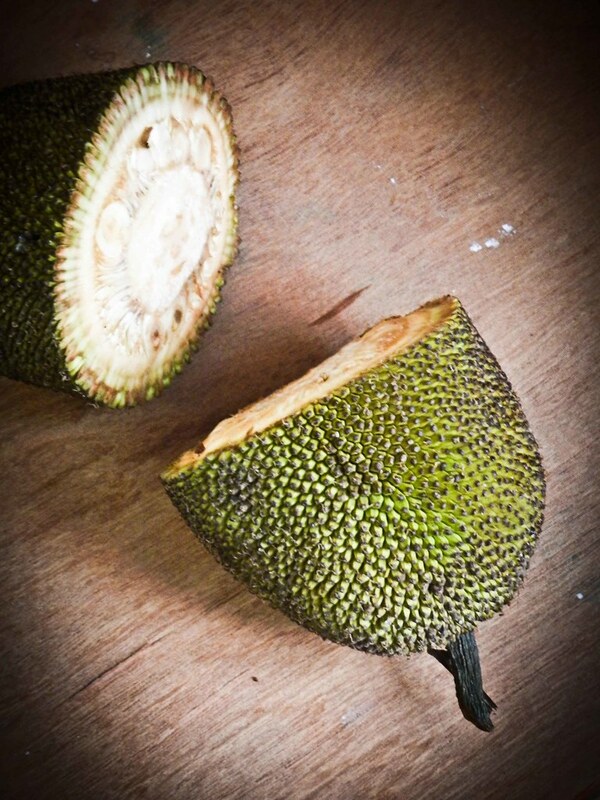 Raw Jackfruit is more fibrous than the ripened one. 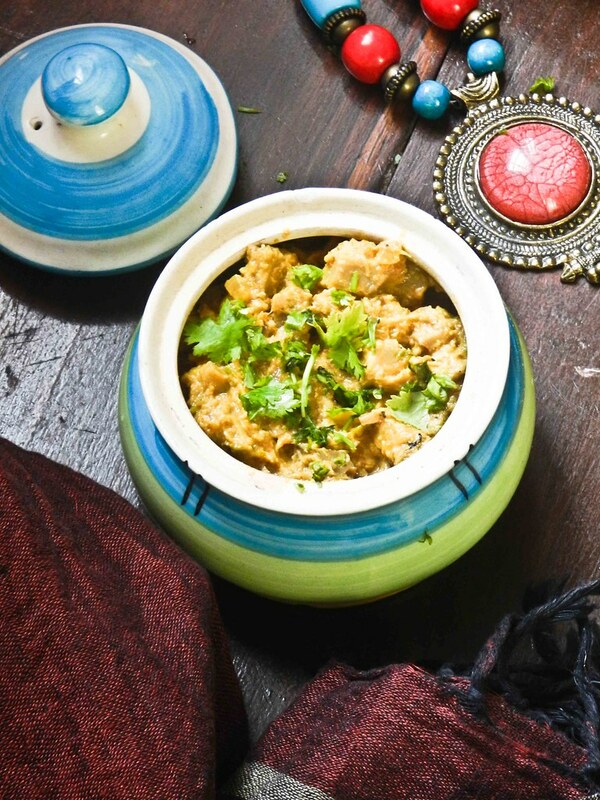 Anyone who misses meat in their lives, raw Jackfruit makes an absolute best replacement for those meaty cravings. 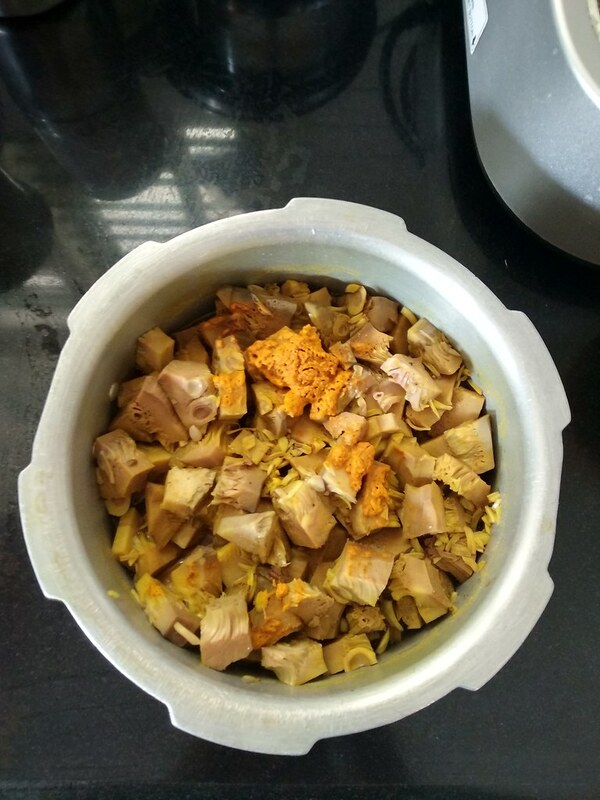 One can make Sambhar, Fritters, Stir Fries, Curries or whatever could please the taste buds from a raw Jackfruit. 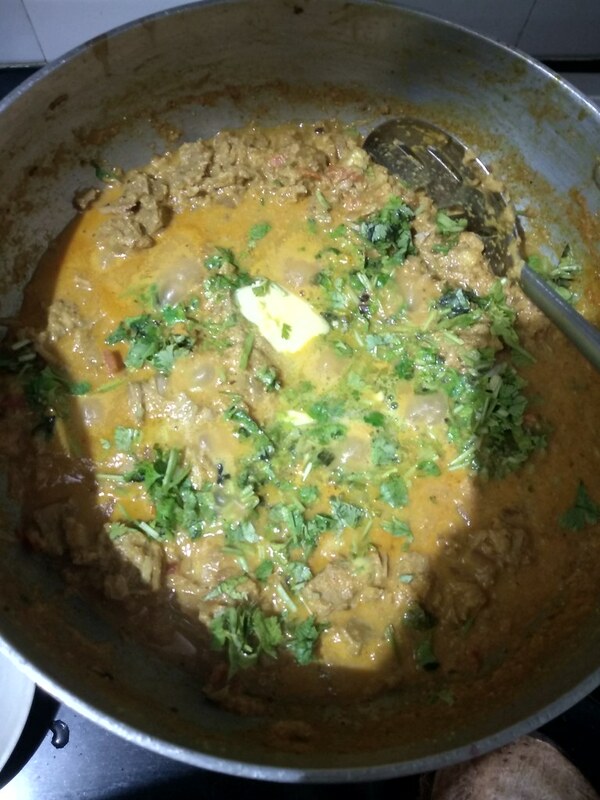 Today, I’ll be sharing a simple curry I made, that could go very well alongside Chapathis, Pooris, Parathas or Khulchas. 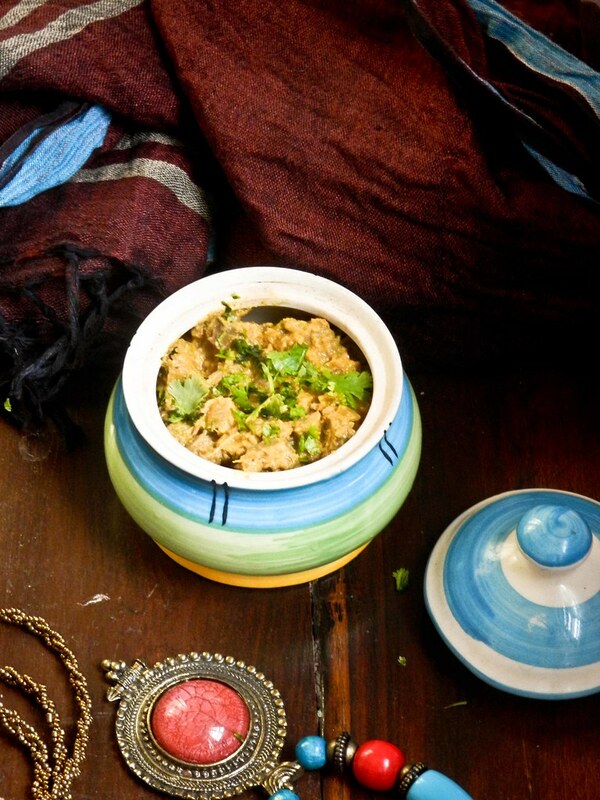 This curry has no fancy ingredients and can be made from the easily available ingredients from one’s pantry. 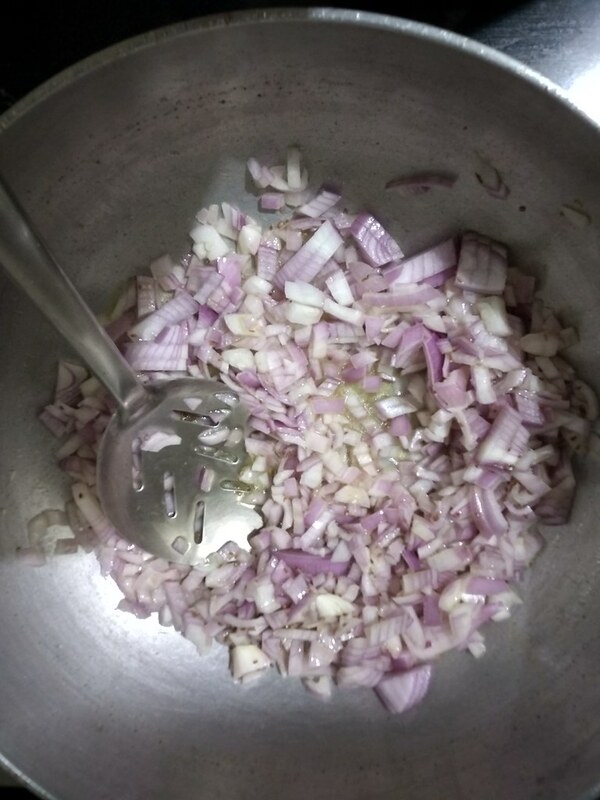 The recipe calls for very simple ingredients. 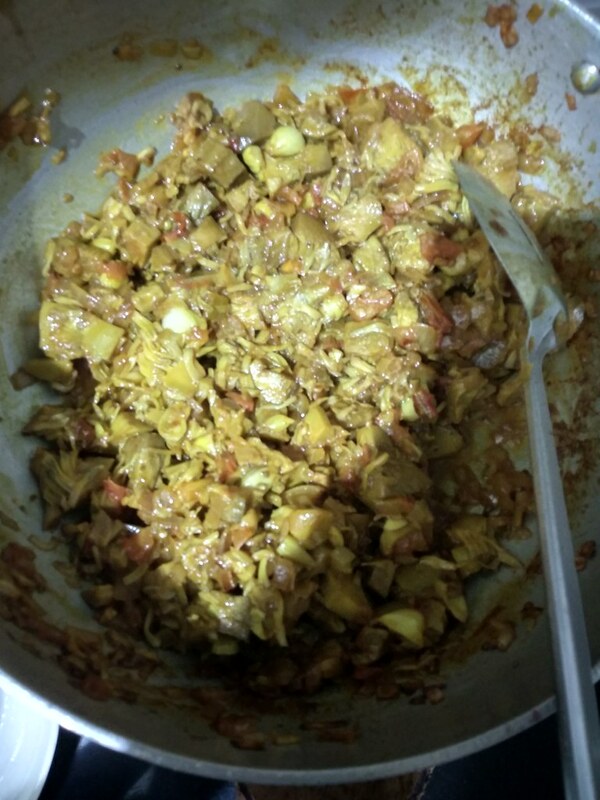 Most of the effort goes into chopping the Jackfruit but the end result is quite promising. 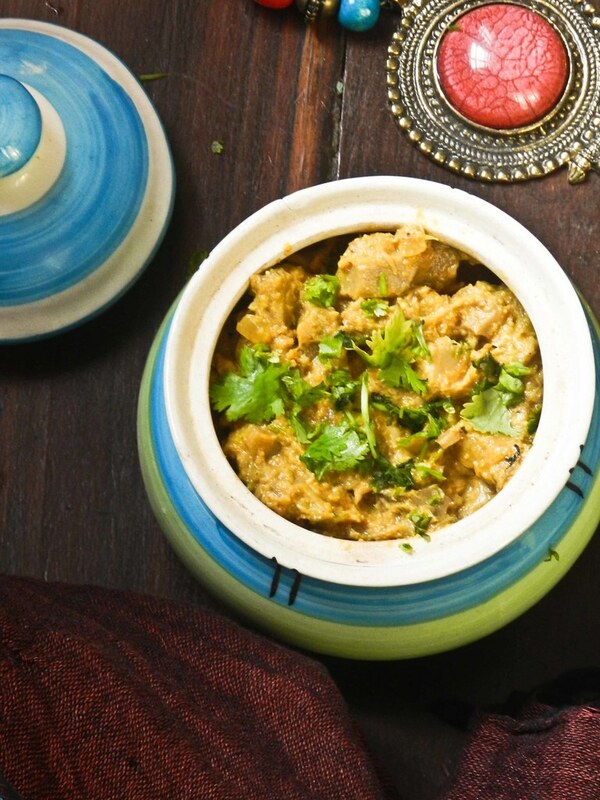 This curry is best for any meat lover who has turned into vegetarianism. 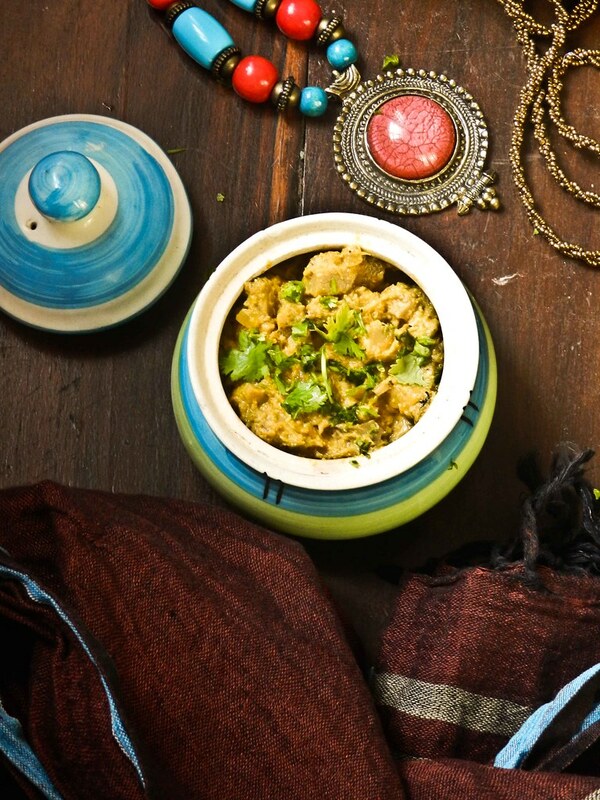 Chapathis, Pooris, Khulchas and Parathas are best to go with this flavourful curry. Step 1: Smear some oil on your palms before handling this fruit. 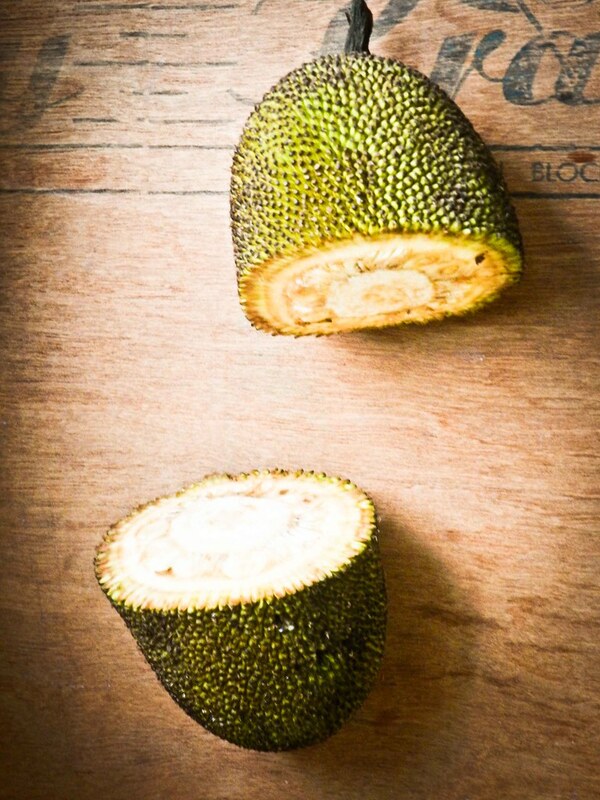 Using a sharp knife, cut the Jackfruit in half and remove the skin of the Jackfruit. 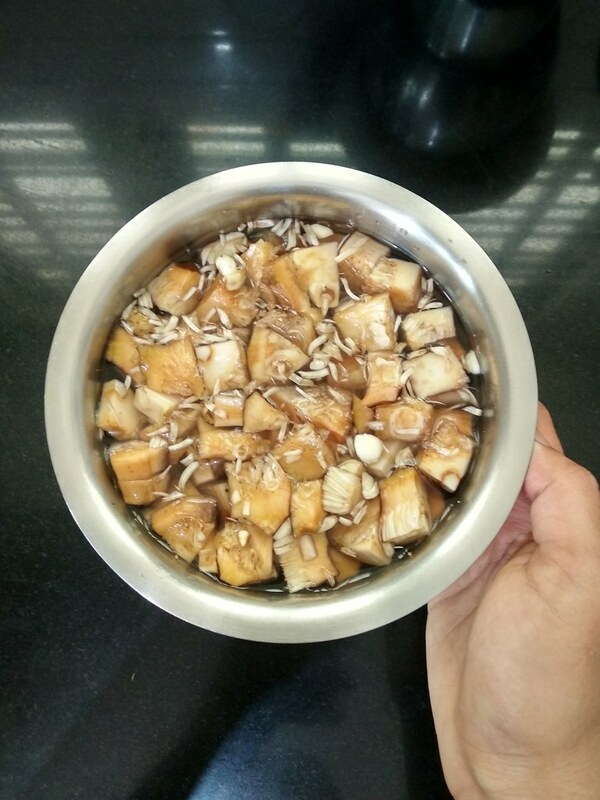 Chop the Jackfruit into bite size pieces along with the seeds. 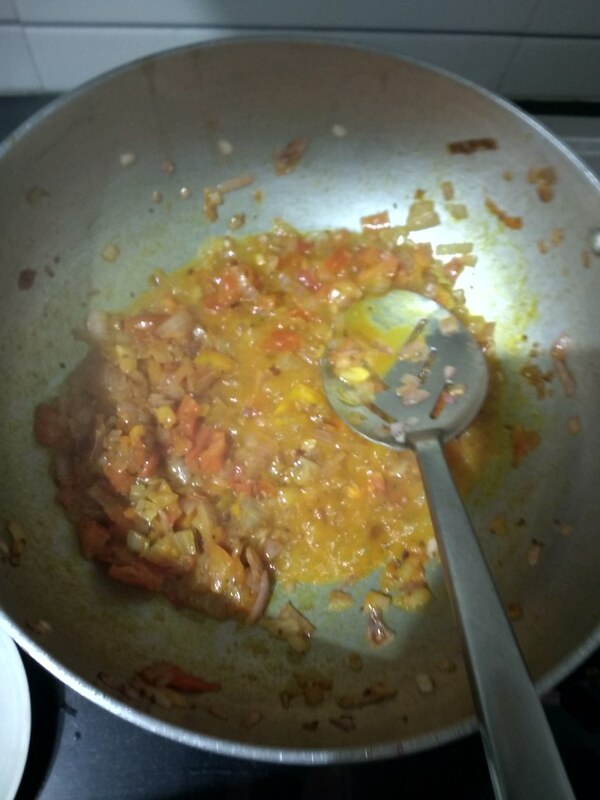 Step 2: Pressure cook the raw Jackfruit along with 1 tsp of salt, turmeric and a cup of water. 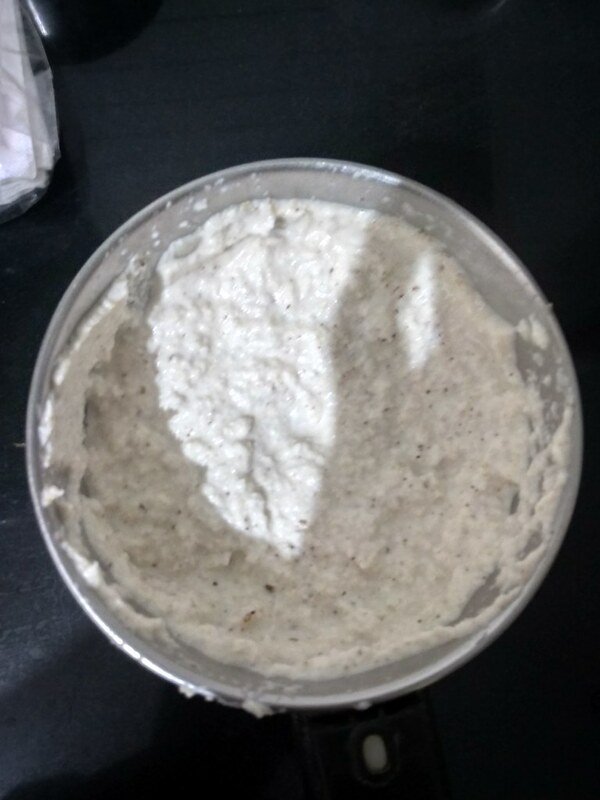 In the mean time grind the coconut and poppy seeds (Note: I have chopped up the coconut into pieces and then ground them with the poppy seeds). 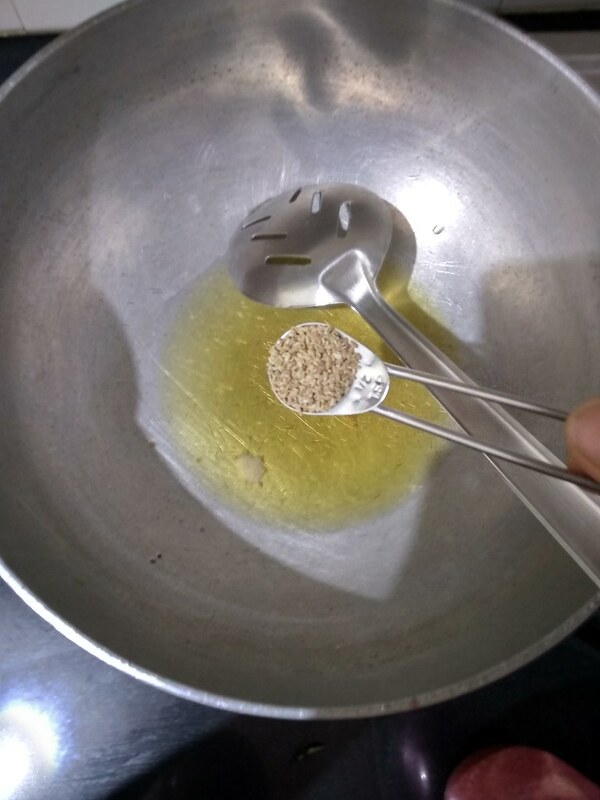 Step 3: In a wok, add oil, let it come to a heat. 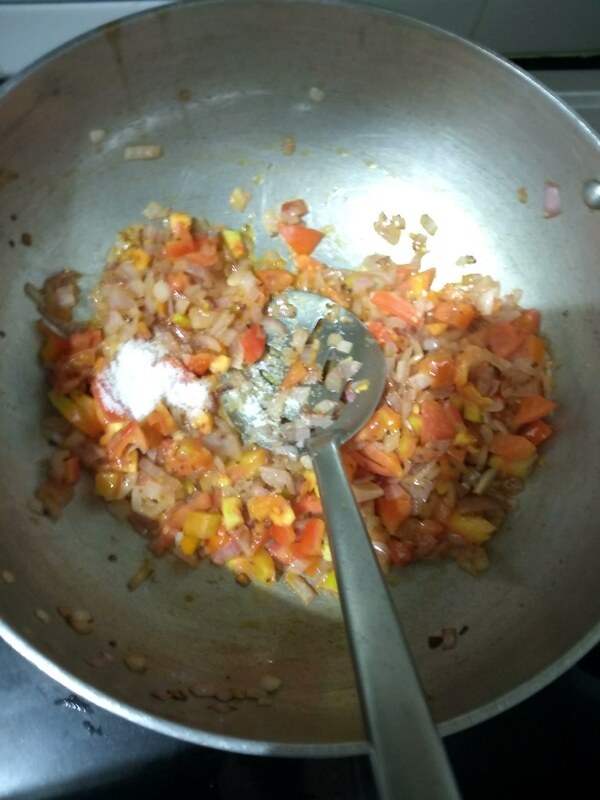 Lower the heat and add the carom seeds and let it splutter. 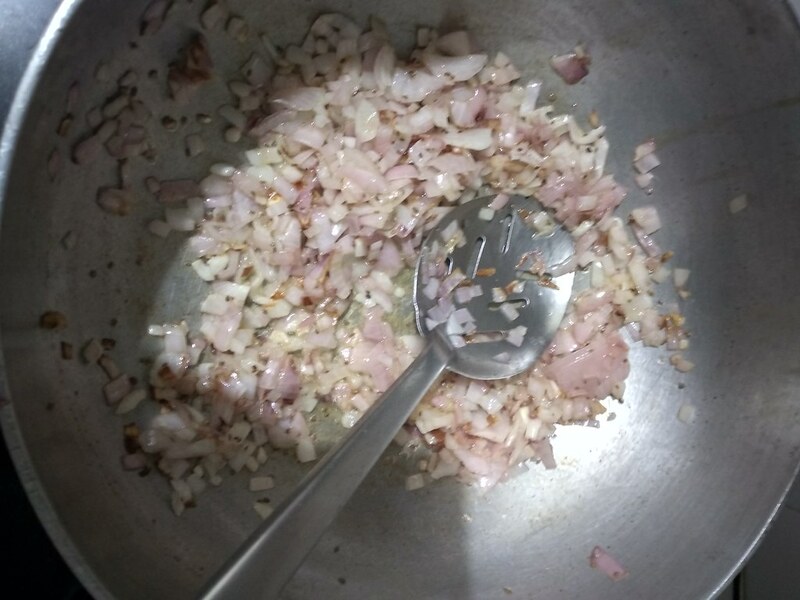 Step 4: Add the chopped onions and fry till golden brown. 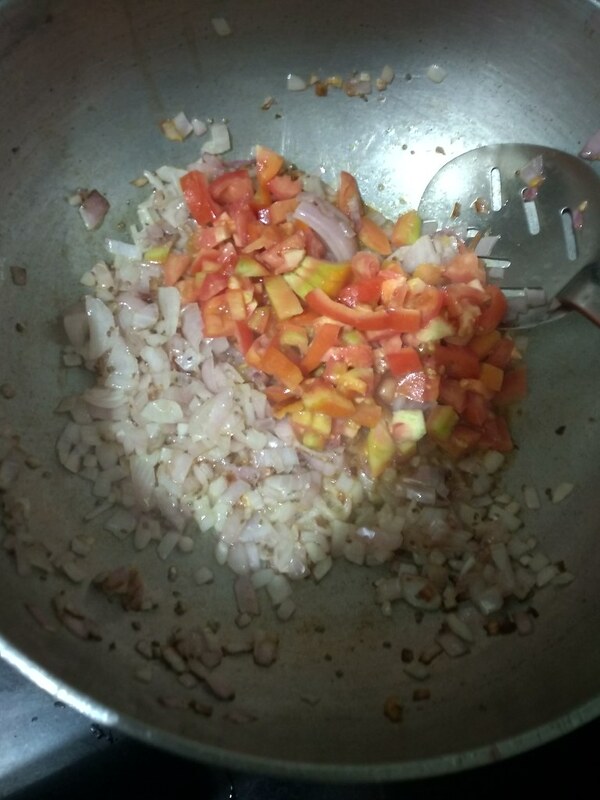 Step 5: Increase the heat, add in the tomatoes, salt and few tablespoons of water and let everything cook till mushy. 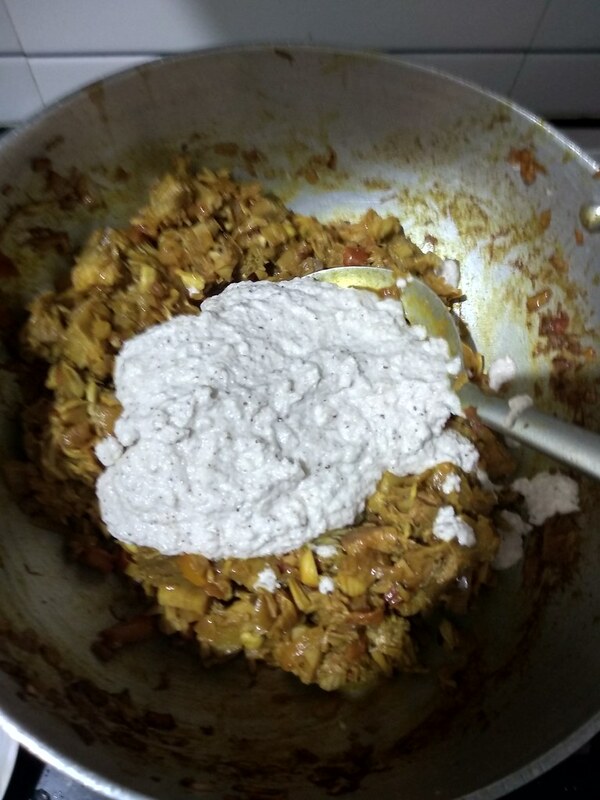 Step 6: Next add the cooked Jackfruit and combine gently. 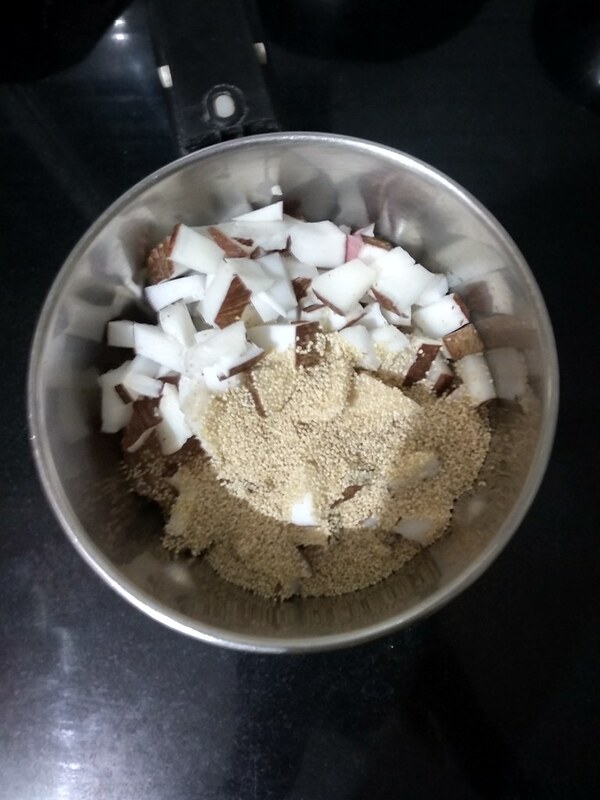 Step 7: Add the coconut mixture, jaggery (if needed) and 2 cups of water and mix gently. Let everything come to a boil. 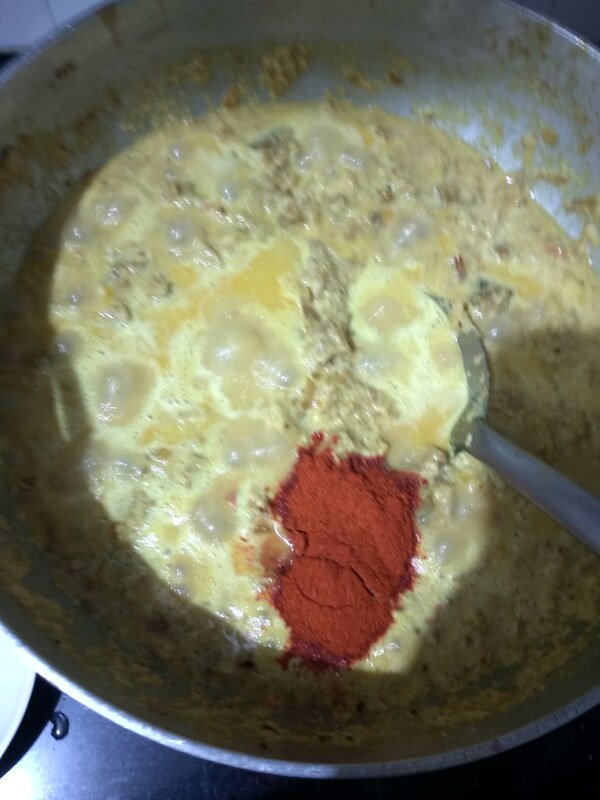 Step 8: Add in the red chilly powder, remaining salt, close with a lid and let it simmer for 10 minutes.